February 14th, a day of love that comes around once a year. It’s a time to celebrate the love of your life, or in your life, but the celebration of that person can sometimes get quite expensive. There’s flowers, chocolates, stuffed animals, dinner, gifts, etc. Add them all up and a random Wednesday can easily turn into a $250 event. Listed below are 4 ways to save on Valentine’s Day. Many couples prefer to go out to eat for Valentine’s Day, but most of your nicer restaurants tend to have set menus that often carry a high price tag. Try celebrating at your favorite restaurant the day before or after. You can usually order from the regular menu and avoid the preset and inflated Valentine’s menu. Valentine’s Day this year happens to fall on Ash Wednesday. Many couples will decide to celebrate the day after due to the start of Lent. A cheap bottle of wine at a nice restaurant will easily be anywhere from $28 to $35. See if you can bring your own bottle and pay a corkage fee instead. Corkage fees tend to be much cheaper than purchasing a bottle from the restaurant, and you can bring the bottle that will go perfectly with your meal. A nicer $80 bottle at the restaurant will typically sell at a local store for half that. So in essence, you can drink an $80 bottle with your meal for $40 + corkage fee (~$10). Waiting until the last minute to order flowers can be a costly mistake. Local and national flower company’s often raise the price of delivery the closer it gets to the date you want it to deliver. They also charge additional money to get them not only delivered on Valentine’s Day, but early during the day. Instead, opt to have the flowers delivered to the office of a loved one a day early. By doing that, the flowers can be present for the entirety of Valentine’s Day and you will avoid additional charges. As like any other holiday, planning can be the key to saving money. Ordering gifts early can help you not only save on shipping but also gives you time to find the best deal. Some companies will offer free two day shipping just before major holidays, but often times won’t accept other promotional codes. Additional charges on shipping can also add to your Valentine’s cost. For example, a friend recently had to pay an extra $9 for two day shipping where it could have been for free had he planned a week earlier. 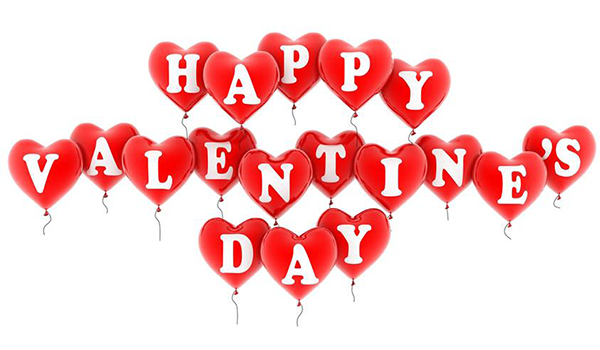 Whether you are celebrating Valentine’s Day or not, the holiday is one that many people love, or dread, each year. If you are celebrating, then I hope you are able to use these 4 ways to save on Valentine’s day to put a little extra money in your pocket at the end of it.